Diamonds are a timeless classic in the world of jewelry, regarded throughout the fashion world as symbols of elegance and class. Diamonds are a celebrated style essential, versatile enough to work with a diverse array of ensembles but distinctive enough to create a look all their own. Due to their unique appeal, diamonds see use in all types of jewelry. 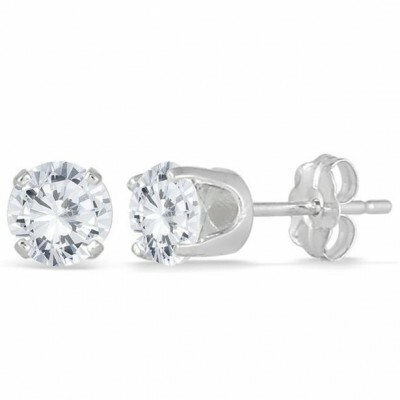 Some of the most popular are diamond stud earrings, currently featured in a sale. 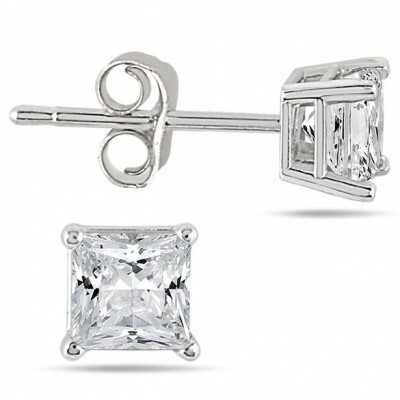 The sale includes multiple styles of earrings, from round studs in sterling silver to princess cut studs in 14K white gold. 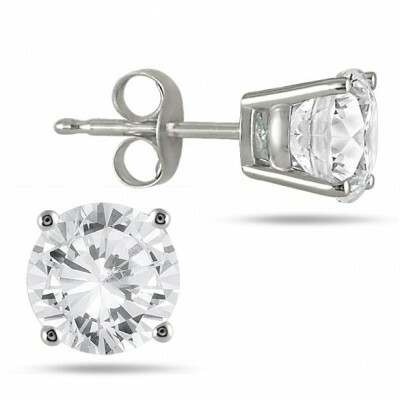 This brilliant pair of 1 Carat TW Round Solitaire Diamond Stud Earrings in .925 Sterling Silver is a jewelry essential in every woman’s collection. These 1/2 Carat Round Diamond Solitaire Earrings in 14K White Gold are simply dazzling. The two perfectly matched, sparkling round diamonds are delicately set in a high quality and durable basket setting crafted in 14K white gold. These 3/4 Carat Princess Diamond Solitaire Earrings in 14K White Gold are just timeless. These diamond earrings will surely be treasured forever. Each earring style has multiple size diamonds available so you can choose a stone that matches your own style. We even have black and blue diamond studs for those looking to add a splash of color with diamond stud earrings. Visit our digital jewelry boutique to find out more about the ongoing sale, then place an order to discover our company’s many shopping incentives, including free shipping for items in the promotion. Check out our Pinterest board, Diamond Solitaire Jewelry, which showcases all our diamond stud earrings, along with other beautiful solitaire jewelry. Be sure to follow us on our Facebook, Twitter and Instagram for more updates. This entry was posted in Blog Posts, Sales and tagged Black diamonds, Blue diamonds, Diamond, Diamond essentials, Diamonds, Earrings, Essentials, High quality, Jewelry, Love, Luxury, Princess, Solitaire, Sparkling, Sterling silver, Stud earrings, Studs, White Gold. Bookmark the permalink.